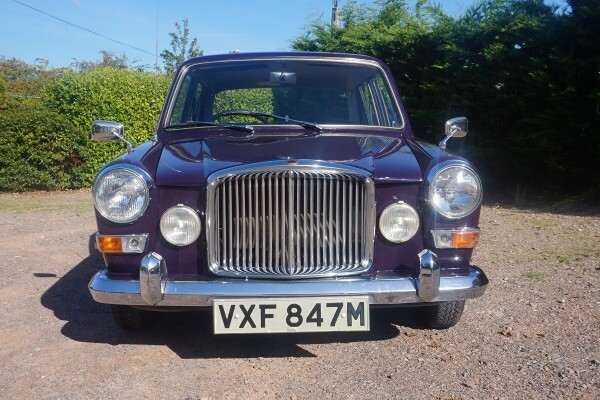 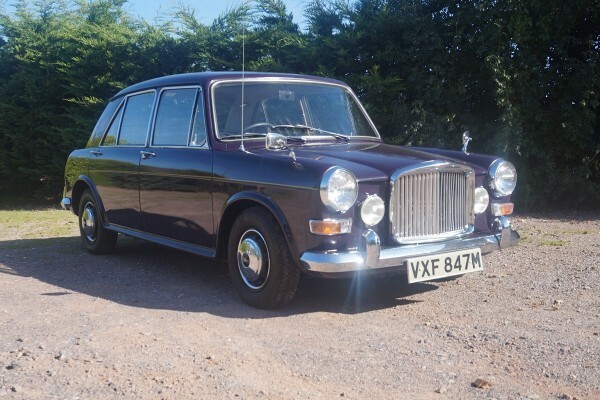 Purchased new by a Mrs Lidstone in Devon in 1973, she used the car for short local journeys only. 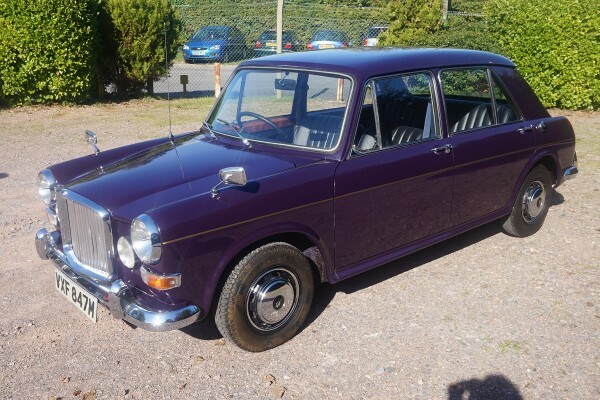 The car was sold in 2004 to a Mr Hughes who kept it as part of a private British car collection. 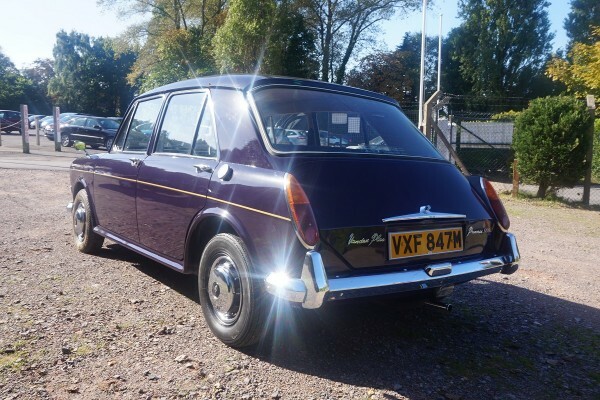 A comprehensive history file containing all old MOTS confirms the very low mileage of 15,641 as correct. 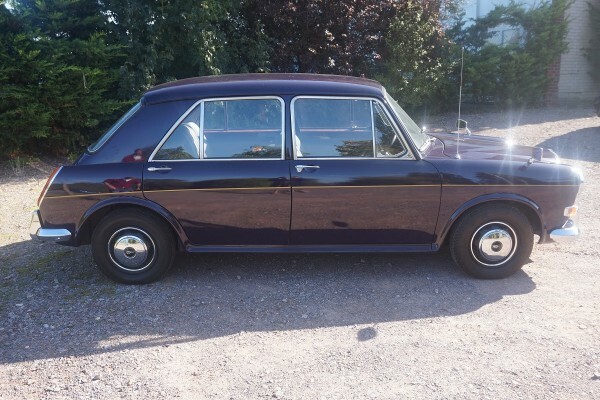 One of just 129 cars finished in the “Black Tulip” colour and probably the best remaining. 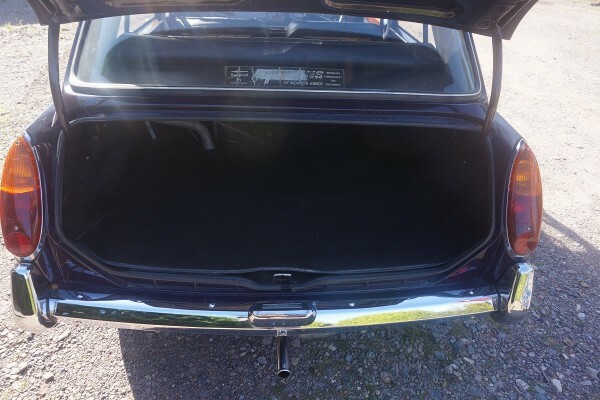 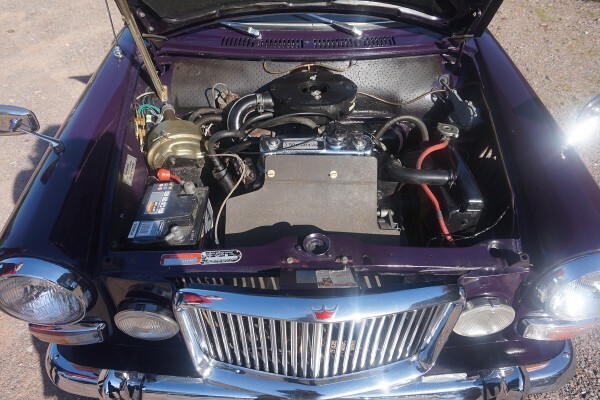 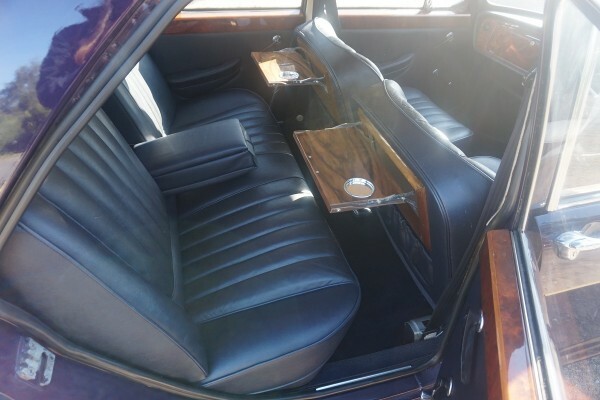 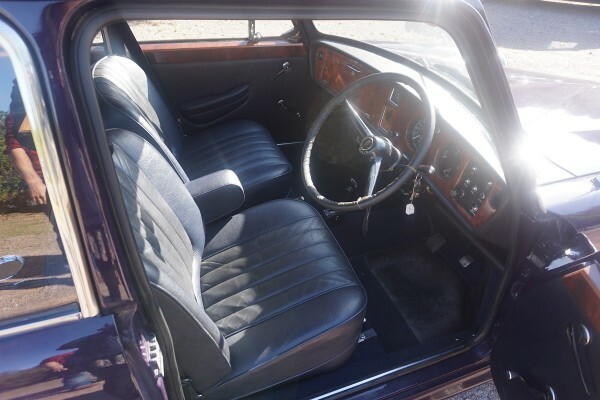 The body work and interior are in beautiful condition and the book pack contains the original service books, brochures, as well as the original delivery invoices for the first owner.